3D printing specialist EOS has acquired powder bed fusion (PBF) start up Vulcan Labs. 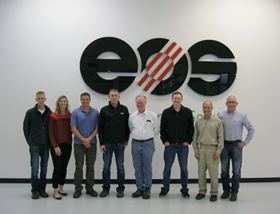 Vulcan Labs engineers will help develop EOS’ Integra P 400 polymer 3D printer which was launched in December 2018 and currently available only in North America, while Vulcan Labs CEO David Leigh, will serve in the role of chief operating officer at EOS North America. 3D printing company EOS has reached an agreement with a metal processing specialist to increase the latter’s metal additive manufacturing (AM) capacity.